The last launch from Israel was on September 6th 2004 that wich ended with the satellite on the Mediterranian Sea. We know that Isreal uses other satellites apart from the Ofek series (like the recently launched EROS-B sat) for military and civilan observation. I think that the Ofek-7 launched was planned for 2006 and delayed to 2007 (January?? ), but anyone has other informations regarding a possible Israeli launch schedule? Also, for some years there were some rumors about possible Israeli orbital launch failures. They were trying the Jericho missile and maybe some of these launches were associated with possible orbital atempts. RE: Israel launches - what about? The launch of Ofeq' 7 is now planned for August 2007! It seems there was a launch (reported as successful) from Palmahim on July 12, 2005. Must have been a test launch since nothing actually went into orbit. A Shavit upgrade was apparently mentionned in Israeli press. Does anyone have better information? There are some stories about some orbital launch failures by the Shaviyt or the Jericho-2 but it's the first time I read something about this one. It would be interesting to find something about ths launch! I wonder if this "new version" could have been the LK-2 variant? The LK-2 was supposed to have a Taurus-like design, with a Castor 120 first stage. I guess we would have heard of it. There are reports about the launch of TechSAR using an Indian PSLV. However, the launch manifest of the PSLV contains Oceansat 2 and the Indian moon probe which have priority over TechSAR. According to the technical infrastructure at the two Indian launch sites, summer of 2008 seems to be the earliest possible launch date for TechSAR. Amos 3 - which may also be used for military communications - could be launched using the first or second Zenit 3SLB land launch opportunity from October 2007 to March 2008. Ofeq 7 is expected to ride a Shavit launcher in the second half of 2007 or the first half of 2008 according to Jerusalem Post. Eros C could be launched from Svobodny (Russia) as early as by the end of 2007 using the Start 1 launcher, but probably in early 2008 shortly before this launch site is eventually abandoned. Tauvex is an astronomy satellite which is planned to be launched as a secondary payload on a GSLV together with G-Sat 4 (Healthsat) by India at the end of 2007. Ofeq 8 and another dedicated military communication satellite are planned for launch after 2008. It seems that the launch of TechSAR using the Indian PSLV in August has been postponed for at least three months in favour of a brand new Indian spy satellelite: Cartosat 2-A. The Russians claimed to launch Eros C using the Start 1 launcher before the end of this year, shortly before their Svobodny space launch facility eventually closes. Finally the Amos 3 military communication satellite is planned for launch this year by a Zenit 3SLB, probably in November. More information is not available, but Ofeq 7/Shavit is always good for a surprise. but Ofeq 7/Shavit is always good for a surprise. Yup Watchdog, you can say that again! Is the exact time available? According to http://rian.ru/technology/cosmos/20070611/67060020.html at 02:40 local and 03:40 Moscow, but between Israel and Moscow are 2 hours, so i think it was at 23:40 GMT on Sunday. The IAI press-release about the Ofeq-7 launch! The launcher used to launch OFEK 7 is more capable and reliable than the launcher used for OFEK 5 in 2002. Since the first launch of OFEK in 1988, the SHAVIT launcher was continuously improved in order to enable insertion into orbit of ever more advanced OFEK satellites. If there was people on the beach waiting for the launch, why wasn't it announced in the West? The people on the beach are probably part of the space industry/academy, without permits to go into the launch site - which is the same all over the world I believe. The launch was not announced beforehand. 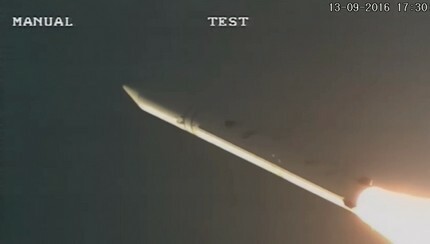 Only launches on foreign launchers (AMOS / TechSAR / EROS) are announced. Any idea when Israel can launch another Shaviyt? You have a payload you want to launch ? A bump in this thread! Any idea about a future Israeli launch? I am guessing that the next Ofeq launch will be attempted sometime during the six months starting October 2009. The launch record is: Ofeq 1993 - fail, Ofeq 3 - success, Ofeq 4 - fail, Ofeq 5 - success, Ofeq 6 - fail, Ofeq 7 - success, Ofeq 8 .......(tin hats ready)? Also, will Ofeq 8 be the first flight of the larger OpSat-3000 platform, shown at Paris last year? Ofeq 7 was the 2000 series platform. Also, will Ofeq 8 be the first flight of the larger OpSat-3000 platform, shown at Paris last year? There will be EROS-C launch, before Ofeq. It is planned to be launched aboard Start-1 launch vehicle from Svobodny, Russia, this year but not certain when. Not really, Svobodny is the launch site for Start-1 launch vehicle. Vostochniy is a new launch site for interplanetary and human spaceflight missions which is on the south of Svobodny. Israel is readying its newest spy satellite, Ofeq-8, for launch by the middle of next year, but production orders for a next-generation Ofeq-9 are stalled pending a cost-sharing and technical agreement with a prospective partner country." Kick-starting Israel's place in space. Ok this needs to be asked; Doing "aerobatic" maneuvers in a 747 instead of maybe trying a simpler and easier method since the article states they would need to modify (well, of course they have to buy one first, but my point.... ) the 747 anyway? Is known any new information about israeli's launches in the future? We know that EROS C is planned but this might well be launched on a Russian vehicle from a Russian site since the EROS satellites use polar orbits. Launch time for Ofeq-11 was 14:50UTC. Israeli lunar lander built by IAI will be launched on December 2018 onboard a SpaceX launcher. Lunar landing - Februaty 13 2019. This is the SpaceIL lander that couldn't meet the Google Lunar X-Prize deadline. 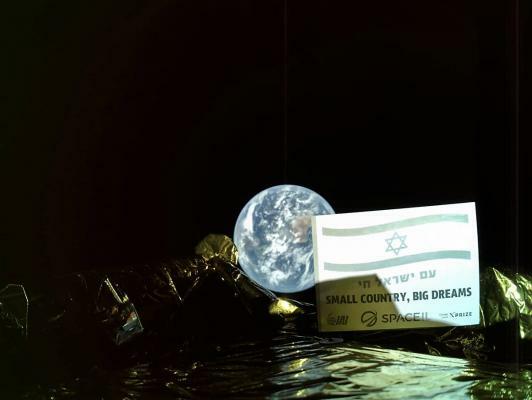 'We will plant Israeli flag on the moon.' Unmanned Israeli spacecraft to launch for lunar landing mission in December 2018. The SpaceIL spacecraft will be launched from the United States on a Falcon 9 orbital launch vehicle, built by Elon Musk’s Space Exploration Technologies Corporation, or SpaceX." "At the end of 2018, the university (Technion) intends to launch into space, to an altitude of 600 kilometers, three satellites at once. Each is the size of a shoe box and weighing eight kilograms. After you start to control their flight will be MCC tehnionovskij. This project was named "Samson", it was developed with the financial assistance of the Fund «Edlis, Ministry of science, technology and space, and the Israeli space agency. — What time is slated launch? — At the end of this year. For the month of December." YEHUD, Israel, July 10 – At a historic press conference today at Israel Aerospace Industries (IAI)’s MBT Space facility in Yehud, Israel, nonprofit SpaceIL and IAI announced a lunar mission to launch from Cape Canaveral, Fla., this December, and land on the moon on Feb. 13, 2019. A final launch date will be announced closer to the event. YEHUD, Dec. 17/2018 – Israeli nonprofit SpaceIL and Israel Aerospace Industries (IAI) presented today at IAI’s Space Division a time capsule that will travel to the moon — and remain there indefinitely — with the first Israeli spacecraft, which will launch from Cape Canaveral, Florida, in February, 2019. "The SHALOM mission will be operational in 2021 with a single satellite and exploit the hyperspectral technologies in the VNIR/SWIR/PAN bands for scientific and commercial applications."